Tehran will not win any prizes as the most beautiful city in the world. Pollution often hangs over the city blotting out what would be the wonderful backdrop of Mt Tochal, and with 14 million people its roads are clogged with traffic, and its subway trains are worse than Tokyo at rush hour. Yet it is unmissable, has great food, parks and museums, and is the vibrant hub of Iran. Here are my top ten things to do in Tehran. A bit ghoulish, and presented strangely in what appears to be a container better suited for displaying cakes (they could learn from the British Museum's display of Lindow Man) is the 1700 year old Salt man from the Chehrabad salt mines. Fascinating to look at and to ponder ones mortality while noticing a strong resemblance to Richard Branson, the Salt Man's head and left leg are part of the main gallery in the National Museum. They are also some wonderful statues, engravings and other relics from Persepolis which will keep you occupied for a few hours. There are some great historical paintings on the walls of the old embassy which was overrun in 1979 and heralded the Iranian hostage crisis. Now a Revolutionary Guards base, tours are available inside, but these are somewhat irregular. For more information see this article. The former royal palace used by rulers up to the last Shah of Iran, before he departed during the revolution, is a riot of glass beads and mirrors. Interesting to wander about in and look at, but it would be difficult for most people to actually live in. 4. Prepare to queue before being overwhelmed with what the Royal family spent their money on. If you thought that the Golestan Palace had a questionable taste in interior design, wait until you see the Shah's Crown Jewels. And wait is what you must do, as the museum has long queues to get in as it is only open from 14:00 to 16:30, Saturday to Tuesday. The collection is in a vault beneath the Central Bank of Iran, which adds to the security delays. There are numerous airport like screening gates to pass through (although the positive beeping alarms are ignored) and phones, cameras and bags are prohibited. Once you get in, the overwhelming display of ostentation is jaw dropping. Beds, thrones, world globes, and anything and everything that could be covered in precious stones, is. It is arguable if ostentation can ever be tasteful, here is evidence that it is not. No wonder there was a revolution. It is almost impossible to wander around this cemetery without tears welling up as you see the countless graves of young Iranians killed in the 1980-1988 war. Small containers are placed above the graves with photographs and items belonging to the dead. If you visit at the weekend (Thursday and Friday) you will see the families of those lost keeping their memories alive by having picnics around the graves. For more information see this article. This small museum contains some exquisite objects and art from throughout Persian history. Beautiful sculptures in gold are displayed alongside ancient manuscripts and paintings. Start at the top and walk down and see the history of Persia unwind before you. Close to the Behest-e Zara war cemetery is the still unfinished shrine to the Imam Khomeini. Join the faithful as they board electric buses under the building site and into the shrine. 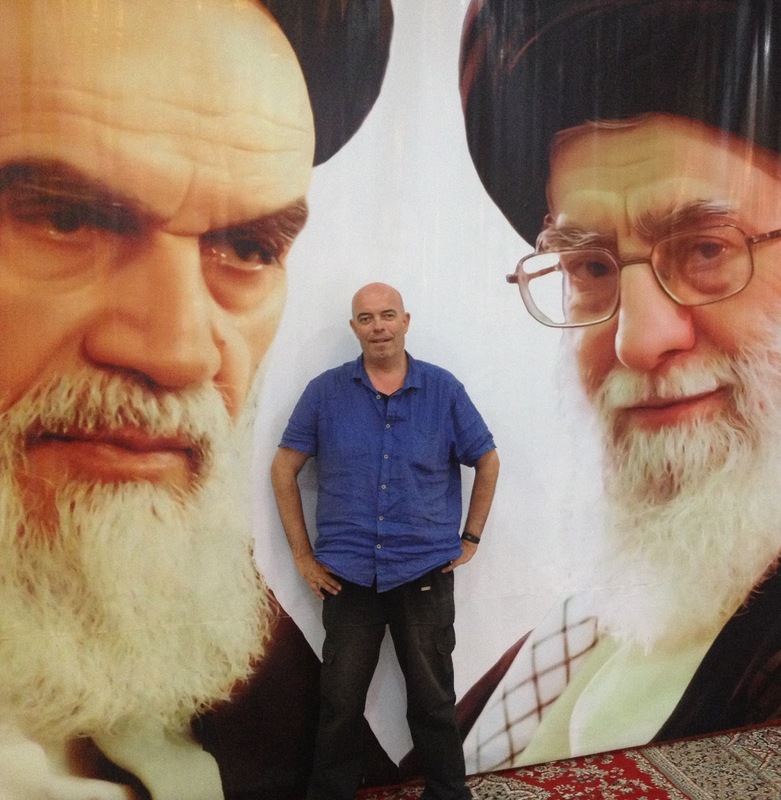 Watch as the venerated leader of the revolution is remembered with donations of rials pushed through the grill, and see the many selfies that are taken next to a huge portrait of the Ayatollah. A summer palace beneath Mt Tochal and about 45 minutes from the centre of Tehran. The air is clearer here and you can see why the Shahs favoured this tree covered location. Expect to see the results of more Royal extravagant purchasing including the longest carpet in Iran (and possibly the world) and gifts from Queen Elizabeth II and Richard Nixon. Other museums on this vast site include a military museum with hardware from the Iran-Iraq war. Decide what to visit before you enter the complex, as all tickets can only be purchased from the ticket booth outside. There are some great clothing stores on Engelhab st, just off Ferdowsi Square where the money changers live. Beautiful Iranian made clothes for men and women (and we are not talking just Hijabs) can be purchased from a number of designer shops here and make for memorable and fashionable souvenirs at a very reasonable price. The Tehran Museum of Contemporary Art is not only a beautiful building, it houses the most valuable collection of Western art outside of Europe and North America. Works by Van Gogh, Kandinsky, Picasso, Matisse, Miro, Dali, Rivera, Warhol and many more are housed here, collected by the wife of the last Shah. It could be a rival to MOMA in New York, except for one thing. Most of the art is hidden away under wraps, considered to be examples of western imperialism and not worthy of displaying. Only one or two examples, which change regularly, are shown, With the removal of sanctions, and the better relations with the western world, much more may be put on display. It is worth a visit for the chance of this, and also to see regular exhibitions of modern Iranian art.